Arnold Palmer, one of the greatest and most popular players in the history of golf, has died, according to the U.S. Golf Association. He was 87. Palmer died Sunday afternoon at UPMC Hospital in Pittsburgh, of complications from heart problems according to a statement from IMG. His agent Alastair Johnson said Palmer was admitted to the hospital Thursday for some cardiovascular work and weakened over the last few days. Palmer, who celebrated his 87th birthday two weeks ago, was widely regarded as one of the best professional golfers of all time. He was also one of the most charismatic figures in all of sports, drawing loyal fans known as "Arnie's Army," who would follow him at tournaments. He was nicknamed "The King" and had won the Masters four times and the British Open twice. 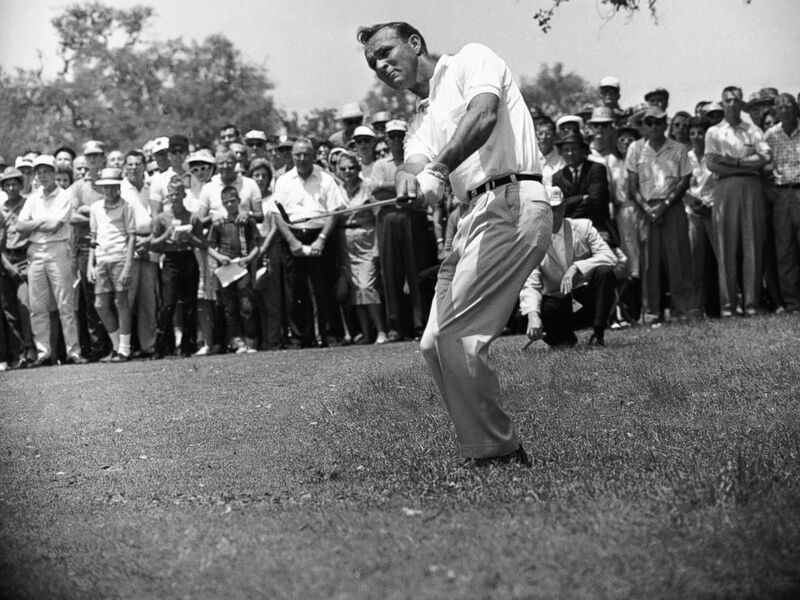 PHOTO:Arnold Palmer is seen here in this April 29, 1962 file photo. Jack Nicklaus, Palmer's great rival, remembered him as a "great friend" and "one of the incredible people in the game of golf and all of sports." 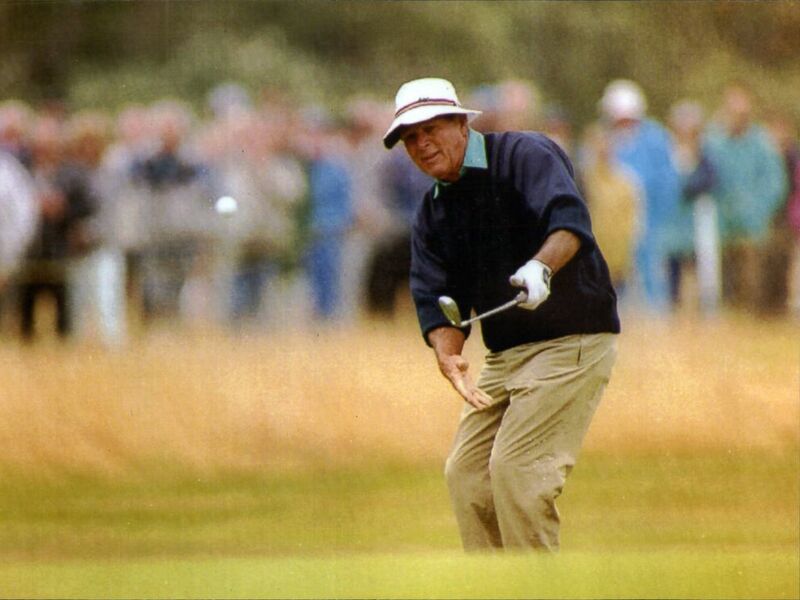 Golfer Arnold Palmer plays golf in this 1992 file photo at the British Seniors Open At The Royal Lytham St Annes Course. Palmer married his first wife Winifred in 1954 and she died of cancer in 1999, according to Palmer’s official website. He is survived by his second wife, known as Kit, whom he married in 2005, his two daughters, six grandchildren and nine great grandchildren. News of his death sparked immediate condolences from another notable golfer: Tiger Woods, whose last tweet prior to tonight was a message wishing Palmer a happy birthday earlier this month.